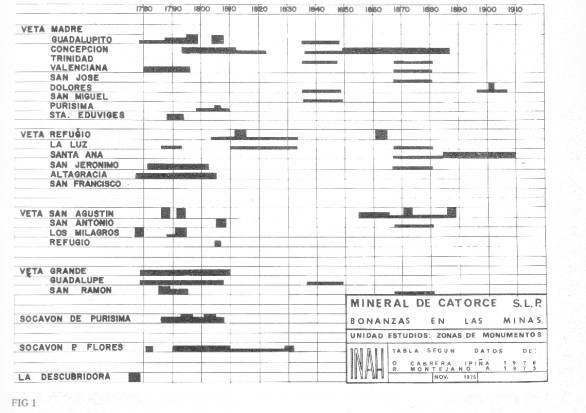 Chart showing the periods of greatest activity for the major mines in the Real de Catorce area. 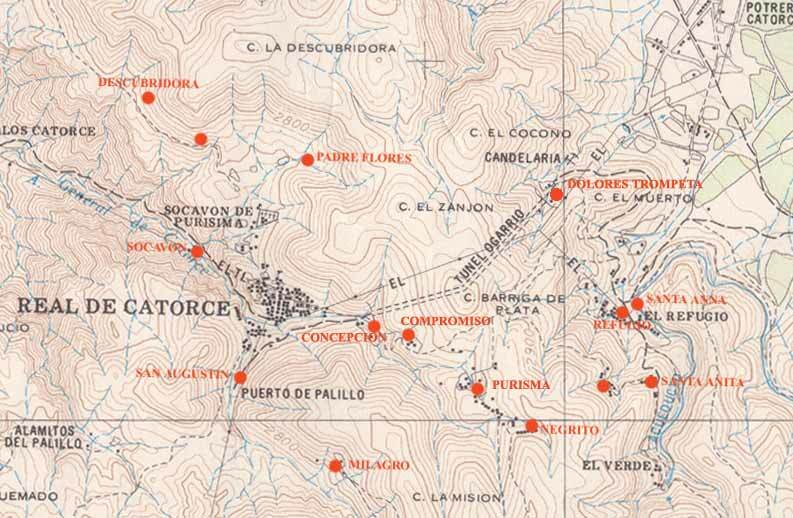 Map showing some of the historical mines in the area of Real de Catorce. The following mines have their own pages with descriptions and photos. The historical references are inconsistent about the sequence of events, but all agree that La Descubridora was the first silver discovery in the Sierra Catorce. Purisma - 503 meters deep.